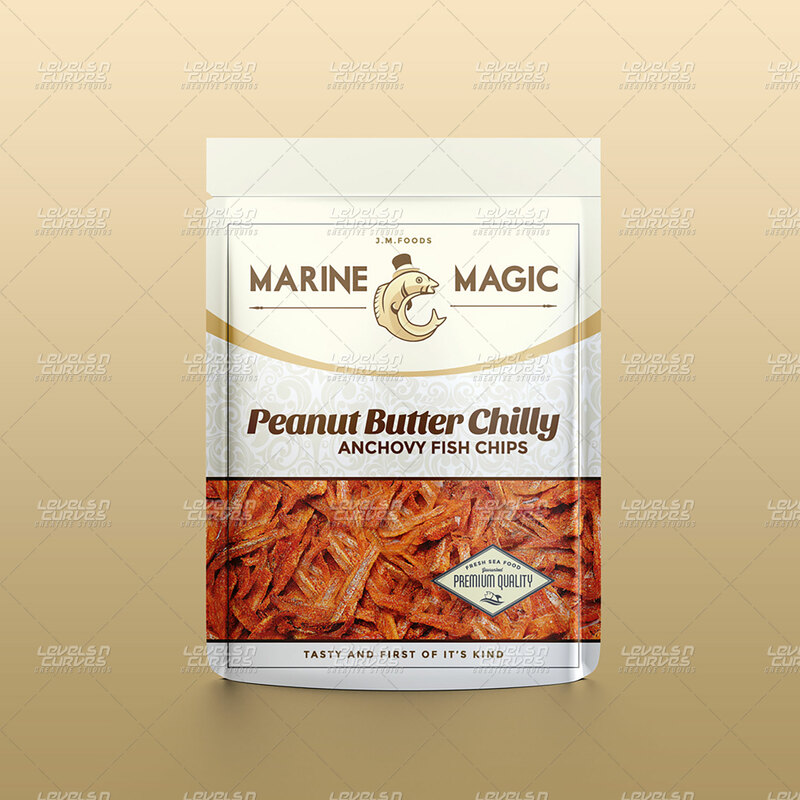 Marine Magic is a company that manufactures crispy seafood chips which uses anchovy fish. The website represents the products and types of flavor they produce along with the hygienic packing methods. Here at Levels N Curves Creative Studios, (a web design/development company) provided logo design and branding for a company Marine Magic seafood snacks and the fish symbol represents the seafood, the magician hat depicts the magic the seafood snack creates. It has multiple flavors.